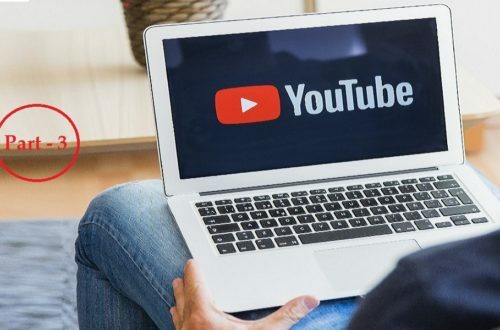 If you are not a graphic designer and not aware of YouTube thumbnail maker, then here I am providing you complete a guide of how to change or customize your thumbnails on YouTube with appropriate steps and tactics. People click on your video after considering your thumbnail so; if your thumbnail is excellent then people connect on that. Setting stunning thumbnails may draw larger viewers to your channel. In the case your YouTube thumbnail is not good enough, and then I am very sorry to say that People won’t look into a video which consists bad thumbnail, Even use best video creation software and equipment. So, try your best to create a charming thumbnail for your YouTube videos. First, understand what is a thumbnail? A thumbnail is a small picture, clickable, and that symbolizes a file such as a video or a photograph. When people search for a video, your thumbnail provides them a visual preview of what your video is about. I suggest you must go for custom thumbnails which will definitely stand out among others. Obviously, custom thumbnails that best proves to all that your video is most preferable. Here is the right method to set a custom YouTube video thumbnail in just a few clicks. Create your own custom thumbnail for your YouTube video. 3. The overview section of the settings page only displays a little information. To get the full information click on View additional features. 5. Click the Enable My Account button. Ignore this step if you have enabled this feature previously and go to Step 6. 6. Take some steps to arrange the ad formats. After finishing step 6. Your YouTube account will get the custom thumbnail feature which has enabled automatically. Now you can add custom YouTube thumbnail with the help of the upload wizard. 8. For existing videos, go to Videos Manager, Choose the video you desire to put thumbnail, and click Edit. 9. Click the Custom thumbnail button beside the video player. Select the preferred thumbnail for your YouTube video. 10. After finishing everything, click on save changes. The changed thumbnail may take some moment to become visible in the search result. You can create your own thumbnail with the help of the number of software and thumbnail maker app including PowerPoint, Photoshop or Illustrator. PowerPoint is very comfortable to use. Illustrator and Photoshop are little more difficult to use. It requires some skills and you must practice to create effectively. If you’re beginner then I truly suggest you use Snappa in your graphics projects. Because Snappa is the best Creative tool particularly for thumbnails creating. With thumbnail creator Canva, you can enhance your chosen picture with content and design essentials, or form an amazing thumbnail design for your YouTube video. With Spark, you can turn texts and images into gorgeous, magazine-kind web stories that will amaze viewers on any device. You can easily add icons and photos also. FotoJet is a stunning graphic thumbnail maker for YouTube that is potent yet simple. It makes a creation of YouTube thumbnail easier than ever. It provides you the huge choice to make an exclusive design in a few clicks. In the end, I tell, you should use the thumbnail creator that you are most comfy with! Let us see what factors we should consider while designing a thumbnail? 1. Glance at other YouTube thumbnails related to your topic and take note of the features that other video makers have used. This evaluation will deliver few ideas to your mind for creating your thumbnail, In other words, you ought to try to plan a thumbnail that stands out from the competitor. 2. Choose a picture that best illustrates your video which should attract the eye of a person. You can also trait a photo of a tool, a creature, a scenery, or a graphic—assuming it has somewhat to do with the theme of your video. 3. Resize and crop your picture to make sure a superior quality thumbnail that also convenes specifications recommended by YouTube. In general, YouTube prefers an image size of 1280 x 720 pixels (16:9 aspect ratios). The file should be of 2 MB in the format JPG or PNG. 4. Add text to your YouTube video, which tells the viewer and highlight what the video is about. Including the keywords that users will use in their search criteria is the best idea. Also, try to use a larger font and colors that compose the text stand out. 5. Try hard for a mixture of an informative image and eye-catching text. You can craft things easier for yourself if you apply a picture with some blank space in it, such as a solid fence the, wall, sky, as background for the text. Congratulations! I think you’ve got the perfect idea to create best youtube thumbnail maker for your video! Now all you have to do is download that awe-inspiring thumbnail maker for YouTube and load it up on your channel! Customize your video with wonderful thumbnail and circulate for the entire online globe to gaze at and be trained from your solar example.